The lawsuit against Ocwen is welcome, but should have happened four years ago. 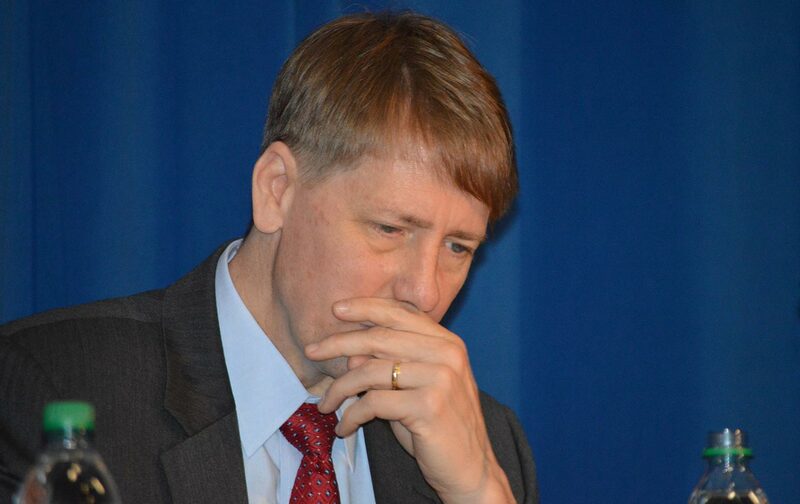 In December 2013, the Consumer Financial Protection Bureau and 49 states issued a $2.1 billion consent order against Ocwen, one of America’s largest mortgage companies, for “violating consumer financial laws at every stage of the mortgage servicing process.” Three and a half years later, the CFPB sued Ocwen in federal court for, well, violating consumer financial laws at every stage of the mortgage servicing process. Why are we here again? Why did Ocwen continue to harm thousands of borrowers, years after first being caught? Part of the answer lies in the irresponsibly weak 2013 settlement, the vast majority of which Ocwen didn’t even have to pay itself. Thursday’s lawsuit, in fact, is an indictment of the way the government fails to police financial institutions, letting problems linger and allowing companies to devastate customers for years without intervention. The picture that emerges from the 93-page lawsuit, based on internal audits, company e-mails, third-party reviews by investors and consultants, and employee testimony, is that Ocwen has no ability to execute the basic functions of mortgage servicing. A servicer operates as an accounts-receivable department for home loans. This is the company you make your check out to. At a bare minimum, servicers issue monthly statements noting the amount due and overall loan balance, collect the checks, and apply them to a customer’s account. Ocwen didn’t get any of that right, routinely, for years and years. To understand this, you need to recognize how Ocwen became such a huge servicer. Prior to the foreclosure crisis, the biggest mortgage servicers were divisions of the big banks. But those institutions were caught committing massive amounts of fraud in the foreclosure process, paying tens of billions in fines. Subsequent legal settlements led to a new set of compliance standards that increased costs. And new global capital rules gave unfavorable treatment to mortgage-servicing rights (or MSRs, as they are commonly known), making the business a balance-sheet liability. So the big banks sold off MSRs to non-bank servicers like Ocwen, which grew eightfold from 2010 to the beginning of 2014. And they clearly couldn’t handle the increase in scale. Not only did Ocwen not get a new computer system—because Ocwen leased it from a spin-off company that has Ocwen’s CEO on its board—but its employees couldn’t possibly manually fix all the bogus data, or even get new loans into REALServicing in the first place. Fifteen percent of a massive loan transfer from Residential Capital remained unverified three years after the transfer date. And manual corrections inevitably compounded the problems. An internal 2014 audit found improper corrections in 63 percent of all loans reviewed. Employees didn’t even have a full understanding of REALServicing, which required the use of over 10,000 different comment codes, but which lacked a complete data dictionary defining them. So the workers literally didn’t know what many of the comments in the system actually meant. You’ll be unsurprised to know these errors almost always resulted in worse outcomes for the borrower. In fact, a cynic would argue that was why the software was so terrible—so it could push borrowers into unauthorized late fees and foreclosures that were more lucrative for Ocwen than its normal course of business. Ocwen routinely failed to send borrowers accurate monthly statements. It failed to calculate the correct amount due. It failed to apply payments to borrower accounts. It failed to correct these billing errors. For two years, it could not tell borrowers the date it received a physical payment, due to a software malfunction. One complaint the CFPB recorded involves a borrower who had her payment rejected because it was “a few cents different” from the expected payment amount, a problem that triggered default and went unfixed for two years. The CFPB found the most serious errors with escrow accounts, which borrowers paid into for taxes and insurance. A 2014 report found 3 million “documented CFPB violations” in Ocwen escrow accounts. This led to Ocwen inaccurately claiming escrow shortfalls, illegally forcing borrowers into a new insurance plan when their insurance policy hadn’t actually lapsed, mistakenly paying insurance premiums twice, sending checks to the wrong insurance companies, and even creating escrow accounts when the borrowers were handling taxes and insurance themselves. Borrowers registered over half a million complaints in the past two years, but the company had no policy to handle them, and wouldn’t escalate complaints unless borrowers called “at least five times in nine days.” And even when Ocwen found systemic problems with loan data, it wouldn’t reimburse harmed borrowers unless receiving a complaint, or forced to by a court or regulator. Of course, Ocwen’s practices led to thousands of wrongful foreclosures, as inaccurate and misapplied payments tend to do. The company habitually engaged in “dual tracking,” pursuing loan modifications and foreclosures simultaneously. Over and over, it violated timelines designed to give borrowers a chance to fix their default problems. The galling part of this is that it was all well-known back in 2013. The CFPB settlement at the time alleged most of the same deficiencies: unauthorized fees, forced insurance purchases, wrongful foreclosures. But in that consent order, Ocwen didn’t have to admit wrongdoing. This shielded the company and its executives from legal exposure. Foreclosure victims who lost their homes got a measly $1,200 check for their trouble. The rest of the penalty went to “consumer relief” for distressed borrowers. But Ocwen didn’t own any loans; this burden fell entirely on the loan investors. The total cost to Ocwen of a “$2.1 billion settlement” was $66.9 million, the company admitted in a regulatory filing. When you fail to hold companies or their executives accountable, they have no reason to mend their ways. Ocwen has repeatedly been hit with sanctions since that 2013 settlement, for everything from sending homeowners small checks that upon cashing automatically enroll them in expensive insurance plans, to backdating borrower letters so they couldn’t challenge loan-modification denials. The monitor of the CFPB settlement once admitted he could not trust information coming from Ocwen about compliance. The conduct was so pervasive that New York’s former head of the Department of Financial Services, Benjamin Lawsky, forced Ocwen’s then CEO, William Erbey, to leave the company in an enforcement action. Yet the noncompliance continues. Shares fell at Ocwen almost 54 percent on the news. So maybe we’ll finally get the corporate death penalty for this serial psychopath that we should have gotten long ago. But it makes the CFPB’s 2013 action almost inexcusable. Three years’ worth of homeowner suffering could have been avoided. I know some will use this lawsuit as an example of why we need a strong consumer regulator. Heck, Trump’s commerce secretary, Wilbur Ross, once sat on the Ocwen board; clearly the current regime isn’t inclined to do a thing about this menace. But Ocwen had already established either an unwillingness or an inability to do its job. Yet throughout the Obama era, it was allowed to limp along and pulverize customers, ruining the biggest financial purchases any of them will ever make. It‘s inconceivable that we’ve settled for such a pathetic conception of accountability for financial fraud that common thieves can last for years as zombie predators before finally being knocked off.